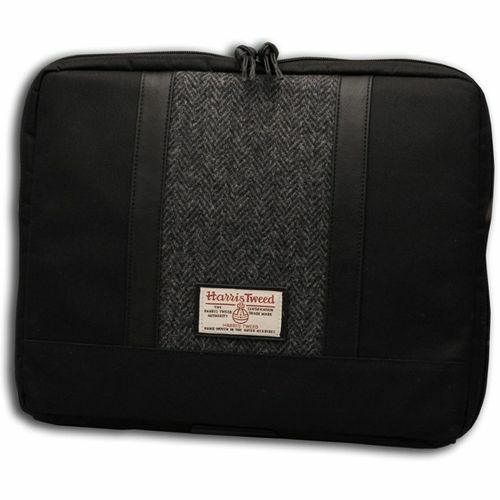 Complete with black hard wearing nylon body, two pu leather bands running down the front of the bag, also the Harris Tweed genuine label mounted onto a pu leather border sewn onto front of the bag makes this the ideal unisex gift. Secured by a zip fastening on top with a double pu leather pull. The fabric insert on the bag consists of a traditional herringbone design including blacks, greys and blues and provides a classic British Look.